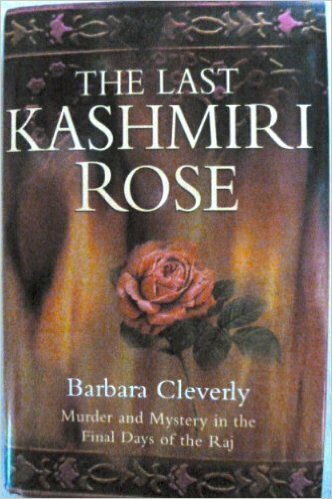 Even though the book I just finished, The Last Kashmiri Rose, by Barbara Cleverly, was set in India, there were no really inspiring food references. Apparently in the days of the British Raj, local cuisine was not properly appreciated. Those idiots wanted the stuff of good old England. Though the novel was authentic in that sense, I kept wondering what the servants were eating off stage, so to speak, being one who does appreciate the culinary gifts of India. 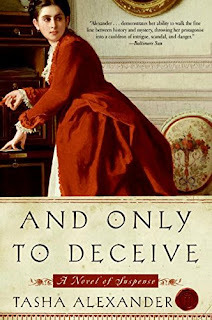 However, her book was a well plotted, puzzling mystery, filled with intriguing, finely developed characters, and set in a fascinating time and place. Quite an enjoyable read, and the first in her series with investigator Joe Sandilands. I believe she's written eleven more featuring Sandilands. So when carambolas are dropping off trees on the subcontinent, this dish would likely show up. 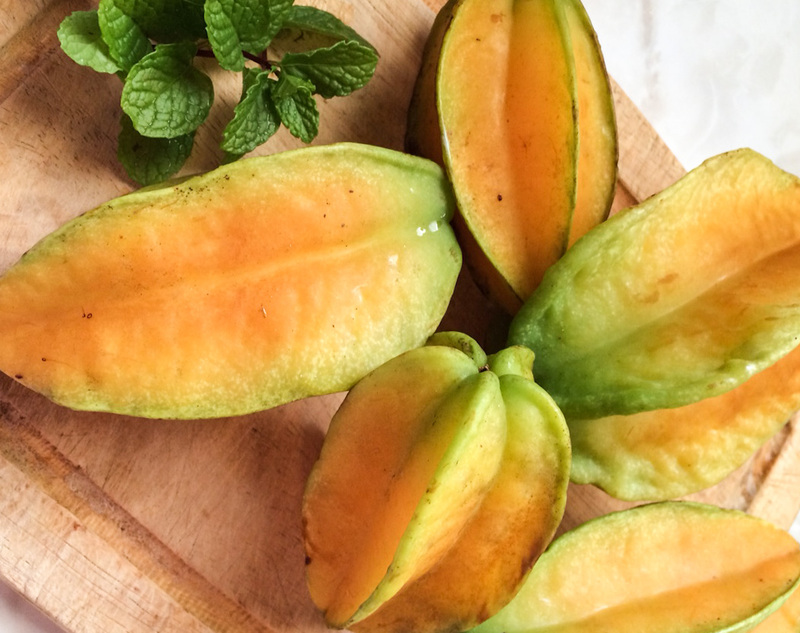 They have a pretty long season here in Hawaii, and though it has slowed down, they're still available on our tree, which drives me to come up with new uses for the juicy, aromatic fruit. I made Carambola Mead again this year, we eat them out of hand, and occasionally add one to a salad, but this Indian curry accompaniment, a Raita is a new one for me. This dish is mostly raw, like a salad, or side dish for an Indian meal. Also, I was able to use my recently purchased nigella seeds, aka black cumin, kalonji or black onion seed. Don't you just love discovering a wonderful new author? I certainly do. The books, in a series by Tasha Alexander, are set, for the most part, with occasional travels on the continent, in Victorian England, and are romantic, suspenseful mysteries, so well conceived and put together, with memorable characters and plotting. Very highly recommended. I started out by mistake (well sort of) with the latest in her series, The Adventuress, when I noticed it sitting on the new arrivals shelf at the library. Then of course, after reading that excellent book, had to get the first, And Only to Deceive, in which the plucky heroine, during a stay at her villa on Santorini (oh yes, love the very thought of that!!) mentions Kreatopitakia as one of her favorite Greek foods. Thus this cooking experiment was inspired. Delightful little pastry logs, filled with your choice of meat or cheese. And, what is especially delicious and easy to work with is the pastry, made with yogurt, or in my case kefir, self-rising flour and butter - puffy, flaky, crispy on the edges, melt in your mouth. I pretty much stuck to the recipe from My Little Expat Kitchen, merely cutting it down quite a bit, as rolling out and filling, not to mention eating 35 of them, was not on the agenda. I made only the beef, and will give my cut down version for 6 pies here.